April is the cruelest month (at least this year). Strange weather is the new normal. Dexter loved going to Paynetown for Leah’s birthday party, and showed a real affinity for watching the boats being launched at the ramp, and even more for Vickey’s kayak. We paddled and floated for about 45 minutes total. He sat on my lap and helped me paddle, and at times did it by himself (after proclaiming “mine, mine, mine”). In the short video below, he is letting me know it is time to get back on the water! I found this guy sunning himself on the path in Dunn Woods in July of 2015. I am not well versed in the world of insects, but I am pretty sure this is a Red-spotted purple, aka Limenitis arthemis. Funny name, as the butterfly is obviously blue, not purple. On the static image below, you can see the red spots on the upper part of the wings. 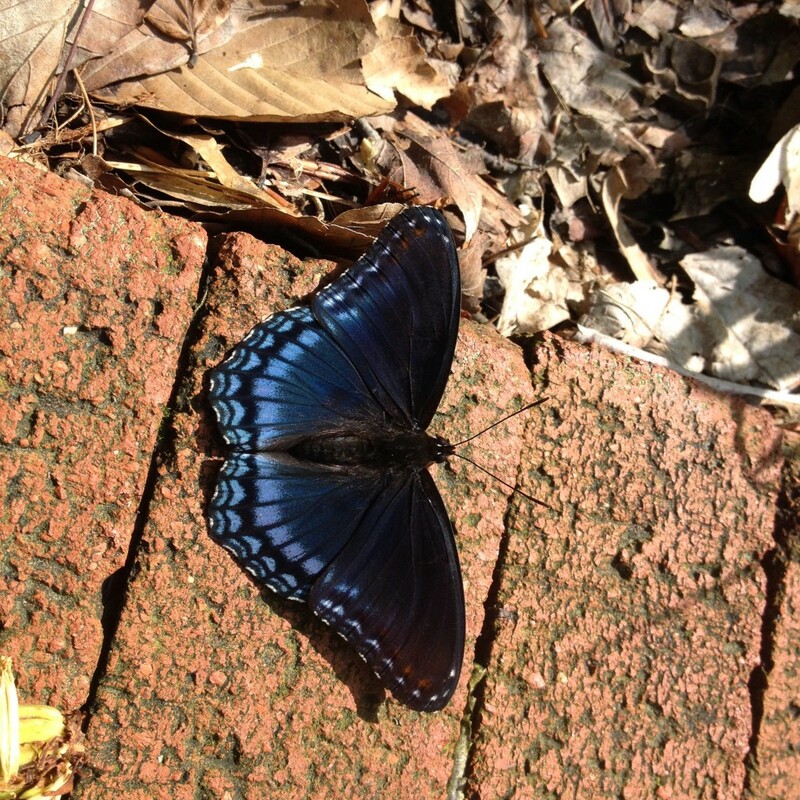 The red-spotted purple is a mimic of the poisonous Pipevine Swallowtail, which would seem to be its main defense. It is a member of the largest group of butterflies, Nymphalidae, which are commonly called four footed, butterflies as they stand on only 4 of their 6 legs, the two front one are usually curled up. They are also known as brush-footed butterflies, as the two front feet are often quite hairy. Other members of the Nymphalidae include emperors, monarchs, admirals, tortoiseshells, and fritillaries. It took me a good hour to figure this one out, if you have a favorite site or book for IDing butterflies, let me know!